Once TV México (“Eleven TV Mexico”) is an educational TV network owned by the National Polytechnic Institute (Instituto Politecnico Nacional) in Mexico City. Over the years, Once TV México programs have won numerous national and international awards. Many of its programs are available as webcasts or on Youtube. Once TV México has made hundreds of programs that provide valuable resources for Spanish-language geography classes or for students of Spanish or anyone wanting to improve their Spanish-language skills. For example, their long-running program “Aquí nos tocó vivir” (“Here We Live”) has explored all manner of places throughout Mexico over the past 35 years, and has received UNESCO recognition for its excellence. Of particular interest to us is “Los que llegaron” (“Those Who Arrived”), a series of programs looking at different immigrant groups in Mexico. Each 20-25 minute program focuses on a different group and explores the history of their migration to Mexico, their adaptation to Mexican life, their integration into society, the areas where they chose to settle, and the links between their home countries and Mexico. Mexico has a long history of welcoming people from other countries, including political refugees. Each of these programs offers some fascinating insights into the challenges faced by migrants arriving in Mexico for the first time. For instance, the program about Italian immigration to Mexico (above), explains why Mexico was seeking colonizers in the middle of the 19th century in order to populate and develop rural areas. One group of Italians settled in Veracruz (in present-day Gutiérrez Zamora); another group, 3,000 strong, and from the Veneto region in northern Italy, settled in Chipilo, near the city of Puebla. 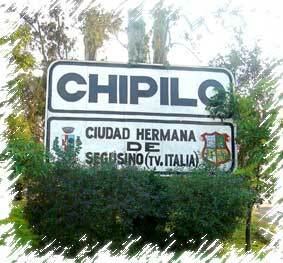 (For anyone not familiar with Chipilo, one of our favorite bloggers, Daniel Hernandez, has penned this short but memorable description of a typical Sunday morning there: Cruising in Chipilo, an Italian village in Mexico). Italian immigration increased dramatically after the 1914-1918 war. Today, according to the program, there are approximately 13,000 Italian citizens residing in Mexico and an estimated 85,000 Mexicans of Italian descent. Note, though, that most sources quote a much higher figure for the latter category, perhaps as high as 450,000. How many foreigners live in Mexico, and where do they live?